The area was narrow, vulnerable to erosion and with steep slopes. 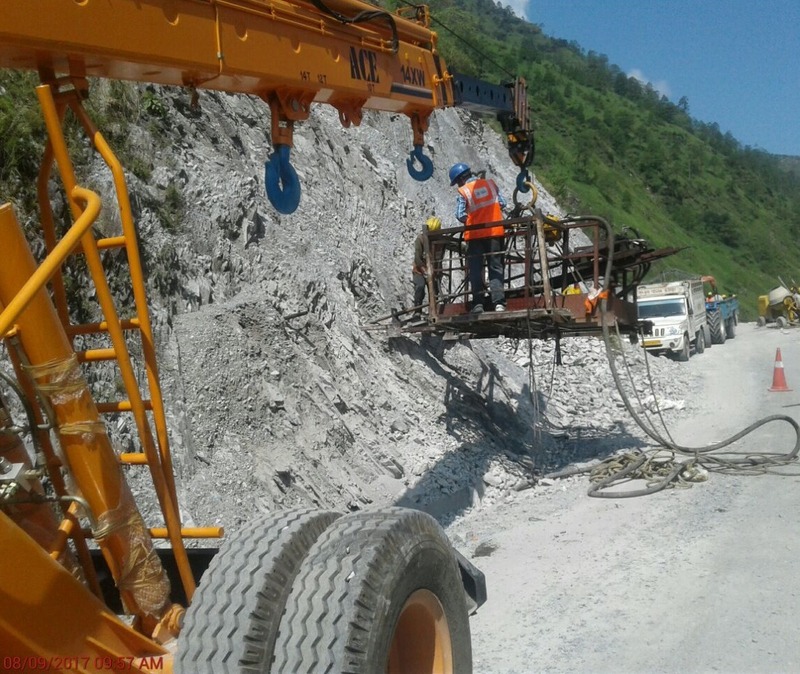 The slopes alongside of roads were needed to be protected and so that Highway do not gets damaged. This work of slope stabilization was given to Geo Spar Infra Pvt Ltd. Team of civil engineers and geologist from Spar Geo analyzed the site and clearly defined the well thought methodology and sequence of work. 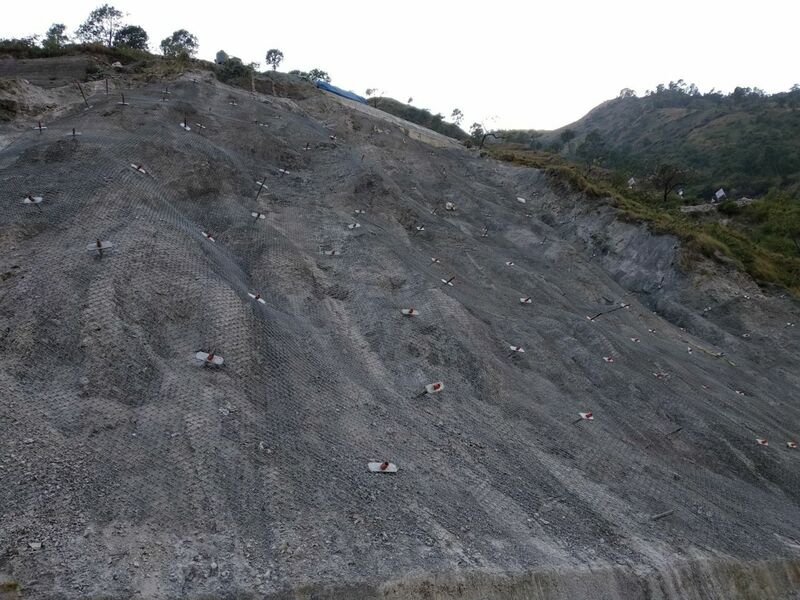 This project was aimed to stabilize the slope using high performance netting and rolled cable net in combination with 38 mm dia Self drilled Anchors along a stretch of 800 m.
The work started with Cleaning of Debris. Geo Spar used hanging masts for climbing and installation of Self Drill Anchors. Grouting was done to create the bonding between SDA and surrounding soil. Galvanized Spike Plate is placed over Self drilled anchor by using Nuts. This spike plate helps to make intact contact between wire mesh and slope. The Site was at far isolated place, deep inside the hills under severe living conditions. The machinery/equipment/spares etc. had to be carried at work site through hill road from nearest point in plains at “Haldwani” 200Kms. away. 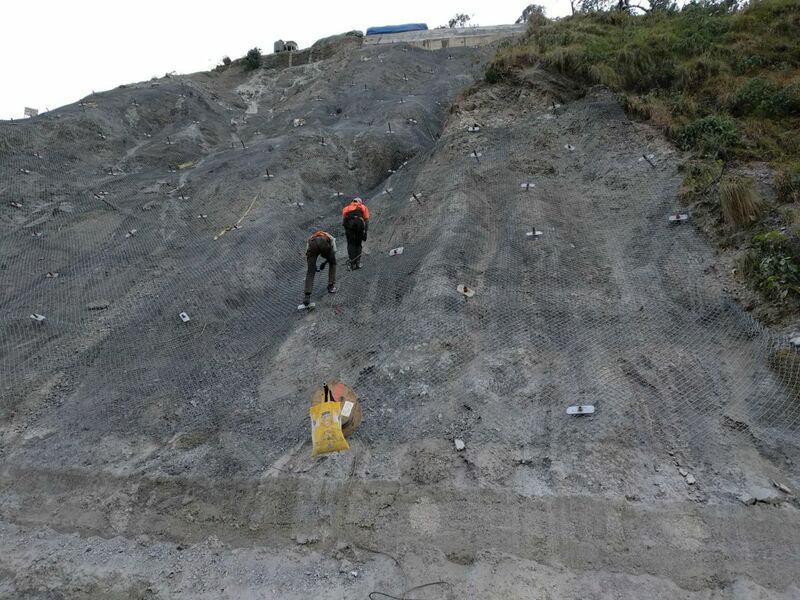 Drilling of SDA in the weathered rock, at steep mountains was the issue. With heavy monsoon showers caused floods with the nearby river swelled twice its size and erosion and fall of debris encountered. We protected the Highway and thus Geo Spar’s mission to provide fast and efficient services with lasting solutions was achieved.